November 22, 23 and 24. 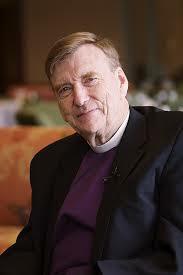 Guest Lecturer, Bishop John Shelby Spong will present a lively discussion. Sunday, Nov. 24th: Adult Ed Forum 10:30 a.m. Admission is FREE and open to the public. No reservations or tickets are required. Guest lecturers are brought in each year through an endowment set up to honor the Rt. Rev. F. Scott Bailey. The lectures take place on the campus of All Saints’ Episcopal Church, 209 West 27th Street, Austin, Texas. One block east of Guadalupe St., on the north edge of the University of Texas campus, between Whitis & University. The Bailey Lecture Series is approved for CEUs (Continuing Education Unit for Clergy) by the Diocese of Texas. Parking will be available at the Church, or several parking garages and parking lots in the area. Lunch is not provided on Saturday, but a map of restaurants within walking or driving distance is available to attendees.